Nowadays Instagram is one of the best social networking apps that are used by kids to adults. Everyone who uses social media, probably know this amazing social networking app, however, it can be run from the website through any browser. But the web version is limited in some features. The way to avail all Instagram features is by using its official app that is freely available to download everywhere. Due to its such popularity and users, people are exploring this app from scratch. One of Instagrams features allows you to block users. We can bet that you have blocked someone on Instagram and that is the reason you came towards this article to read. But this post is about How to Unblock Someone On Instagram. Unblocking someone on Instagram is not a tough task but if you are a new user then it can be time-consuming and irritating to find the solution for this. But don’t worry you can follow below steps to get rid of this situation easily. Step 1: Open your Instagram account. Easily Open your Instagram account. You may have more than one Instagram account but open that account in which you want to unblock someone. Easily Go to your Account Section by clicking on your profile icon from home page. The Profile icon will take you to the profile page of your account. On your profile page click on three dots located in the upper right corner of your profile page. Those three dots icon will take you to Options page where you will see Account Section. Under your Account section on Options page, you will see a Blocked Users as seen in the image above. Click on Blocked Users. Now you are on the Blocked Users page. 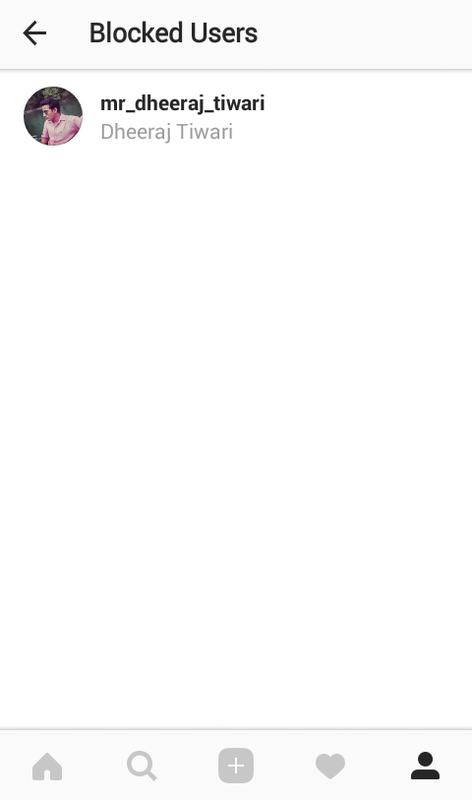 Here you will see a list of users that you have blocked on that current account. You can choose from listed accounts to unblock any user. Click any specific user that you want to unblock, it will take you to that user’s profile page. On the profile page of the blocked user, you will see an Unblock button. Click that Unblock Button and you see a popup asking your permission. Click on Yes, I’m sure. Now the user is unblocked. If you are using Instagram’s version 10.9 then the above method is probably not working for you at all. If you followed above steps then you will get stuck to Step 4. The reason is that you will not be able to see an option to unblock user directly. 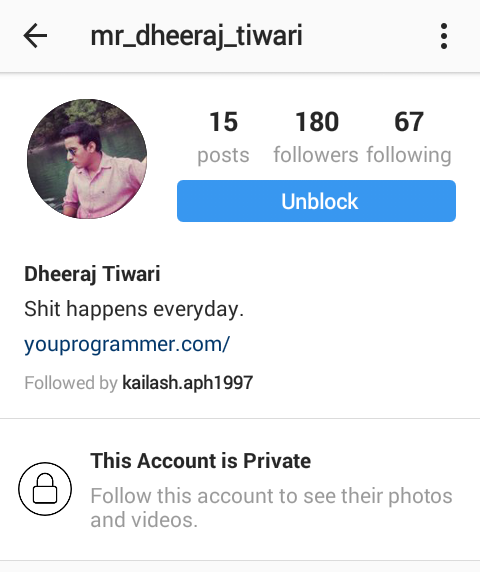 When you click on user profile from Blocked Users list then it says User not found in Instagram profile. In order to unblock that user all you have to do is follow these three steps and you can unblock them easily. Follow all the above steps until you reach to step 4. Because now you will see a list of Blocked Users. Simply select any user you want to unblock and copy his username on anywhere you want or if is it not too long then you can also remember it on your mind. Now you have copied the user’s username that you want to unblock and now it’s time to search it on the search bar. Type that username on Instagram search. It will give you search result as users profile. Now click on users profile and it will take you to profile page of that user. 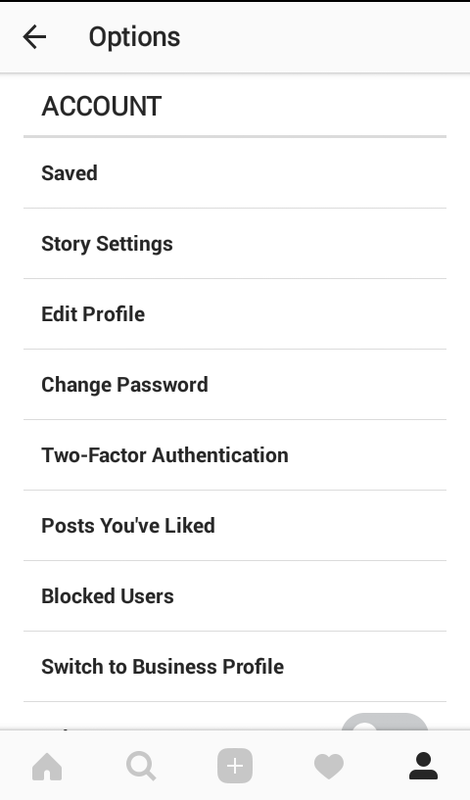 On profile page click on the options button and it will give you option to Unblock the user. By clicking on Unblock, now you have successfully unblocked the user. Now you know how you can unblock someone on Instagram. So if you have unblocked someone then you are maybe looking to follow him again or giving him chance to follow you. Whatever the situation is, the user should have to check your profile in order to follow you again because Instagram does not send any special notification to the next person you are blocking. However, in order to let him know that you have unblocked him/her, you can send a follow request to follow him if his/her account is private and if not then you can directly follow him. In both situation, he/she probably get the notification regarding the Follow request or directly Following.